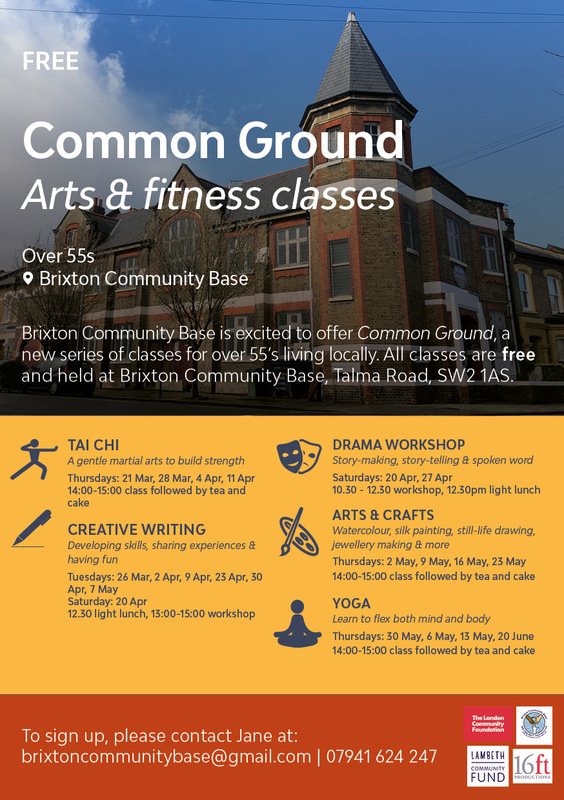 We are excited to announce a new arts and fitness programme at Brixton Community Base. We have a 12 week programme of friendly and gentle sessions for over 55’s including Tai Chi, Drama, Creative Writing, Art & Crafts and Yoga. All classes held at Brixton Community Base, Talma Road, SW2 1AS.